The Rose House was founded in 1999 by Mark and Pearl Kramer, the parents of a daughter with Down Syndrome. 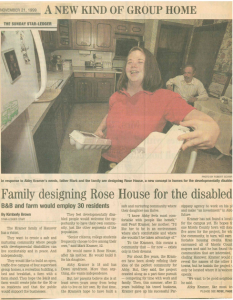 They recruited other parents of children with developmental disabilities, local business people and community leaders to join them in pursuing the mission of The Rose House. Offers breakfast, lunch and catering to the general public, demonstrating the abilities of our clients to potential employers and neighbors. Our first group home was opened in November of 2003 and was funded through a capital grant from the State of New Jersey Division of Developmental Disabilities and private contributions. Over the next 13 years, we have expanded to five DDD residential programs and six independent living apartments funded through self-directed supports. 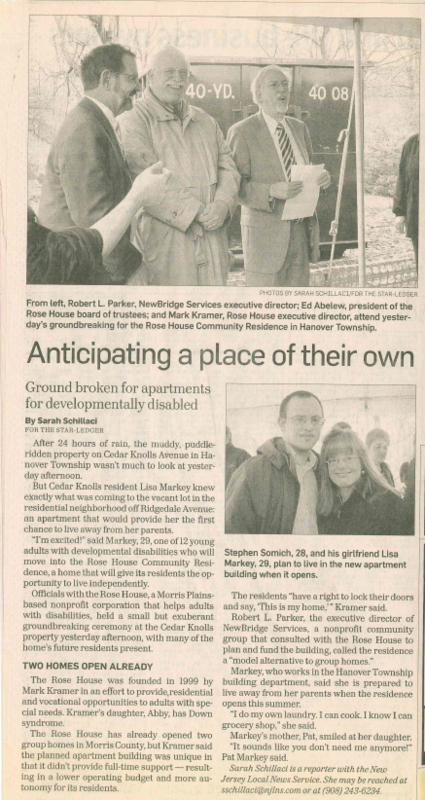 It was through the support and generosity of The Friends of The Rose House, donors, Hanover, Parsippany, and Mount Olive Townships and the capital funds from United Way of Morris County and the New Jersey Housing and Mortgage Finance Agency that these projects were achieved. 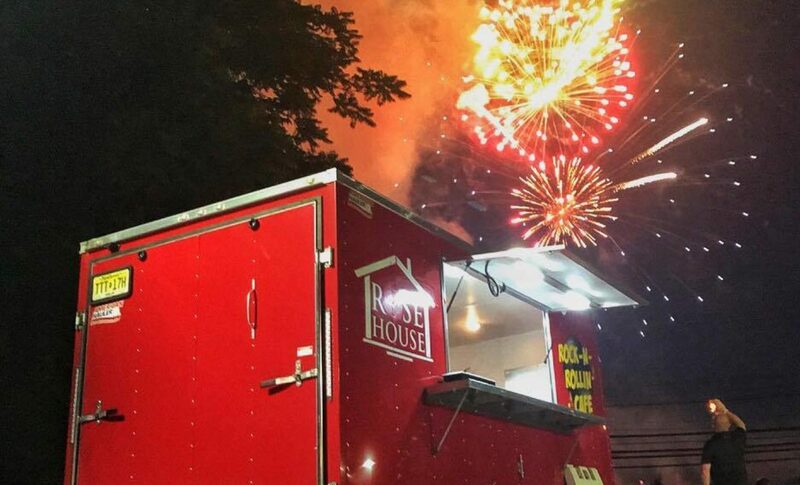 The Rose House offers an extensive range of recreational choices for our residential clients, employees and students in our Vocational Programs, and other adults with disabilities who live in the area. 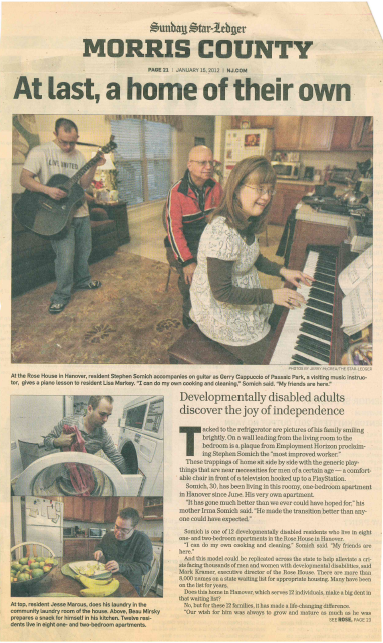 We make use of existing programs such as MCARP, D.A.W.N., and Special Olympics New Jersey, as well as local community resources such as the YWCA.